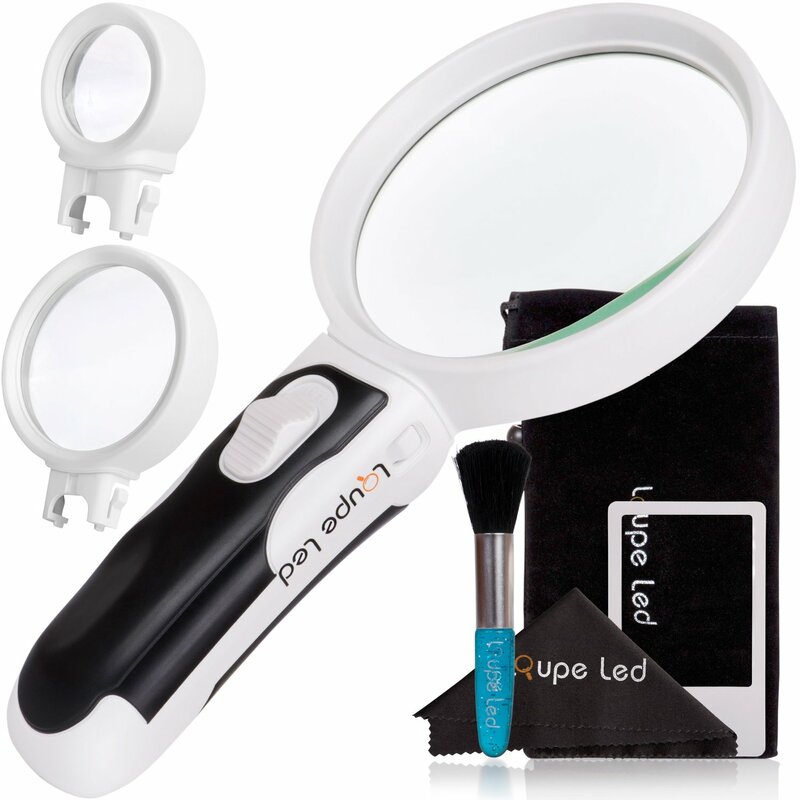 The older I get the harder it is to read fine print, so I was really happy to try out this Loupe Led Magifying Glass . It comes with 3 interchangeable magnifying glasses with different strengths, a carrying bag, a cleaning cloth to keep the lenses clean without scratching them , and a brush to clean the hard to reach places like the connections where the handle and magnifying glass join. This is perfect for people who collect coins, stamps, etc., or are just having a hard time reading fine print. The led light illuminates and makes it even easier to see especially in a dimly lit area. This is even a great help when trying to untangle jewelry and fix it. Any kind of small object is easier to see and work on with this product. I also received one of the most inspirational prints I've seen. 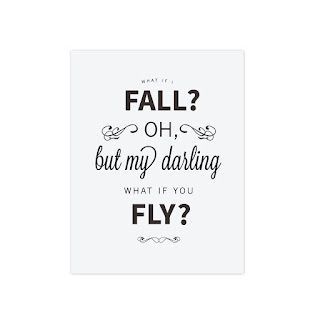 "What if I fall, oh my darling but what if you fly" That is the sweetest words of encouragement I think I've ever read! Just the gentle reminder that trying new things or even doing the mundane tasks of the day that I can succeed. 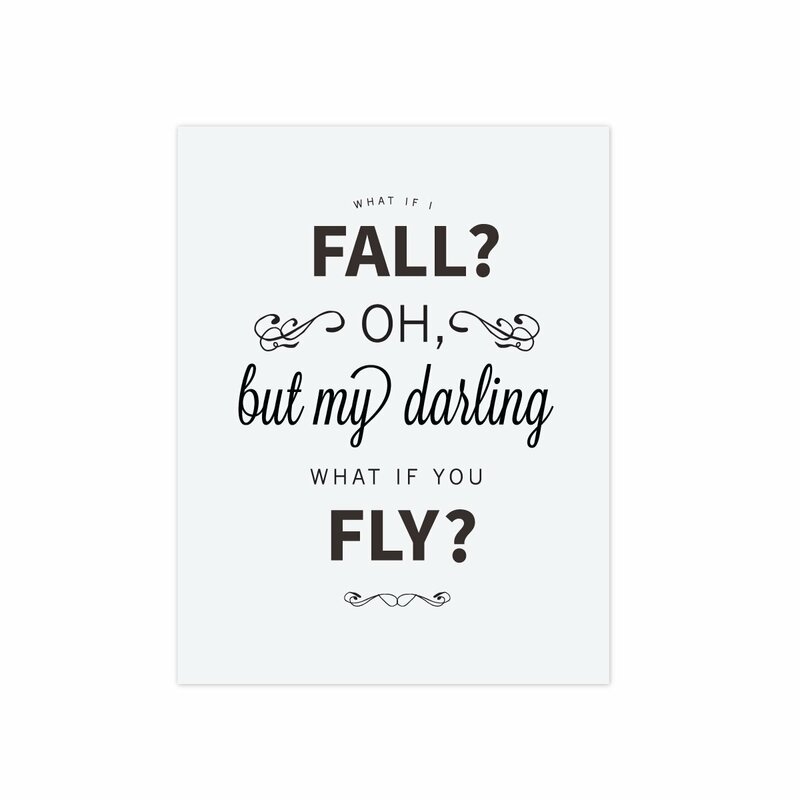 The print is 11 X 14 and looks great in or out of a frame, and I love the different fonts used in this print. It came so nicely packaged and even had a personalized tag with my name on it. This has become one of my favorite possessions.